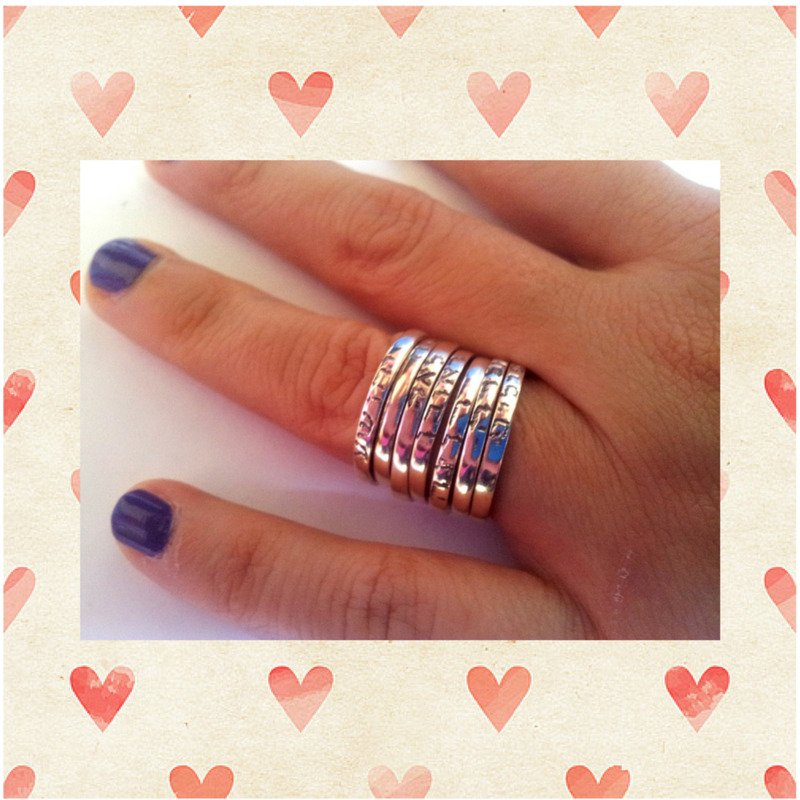 7 Sterling silver stackable rings in Hebrew or English . It is possible to order less or more rings - please consult us. Sterling Silver Children Names and Good Wishes Ring. Tiny and absolutely adorable! These little rings are perfect for stacking. Use them as a sweet reminder that through good times and bad, will hold tightly to one another. This ring is hand-crafted and cast in your chosen word or verse in sterling silver. (You can order less than 7 rings - or more - just consult us). You can order any name in English Hebrew or other Latin language or a Verse or Blessing up to 8 letters per ring. Extra cost for engraving more than 8 letters per ring is 2 USD per letter. Please consult us and we will send you the payment request for engraving through Paypal.